Drills are one of the most common items in the average consumer's arsenal of tools. They’re a must have for many and work for a wide range of projects. This being said, there may be some things about your much beloved drill that you don’t necessarily know. Drill bit size can seem like a minor detail to most but it can actually be really important for deciding how your drill will perform. It can be a key factor of getting the best experience out of your drill. While it’s very important, it’s a detail that is often overlooked. Here will be showing you how to know what size drill to use. With most drill bits, there are charts that will allow you to more easily match the job with the drill bit size. It provides a guide for the consumer to follow that is meant to make the task easier. Drilling through wood is one of the most common uses of a drill. It is often the first thing people think of, and associate with the tool. In fact, drills and brad nail guns are two tools that you almost always will find in any woodworking workshop. Each material you plan to drill through requires its own considerations and specifications. Wood drill bits can be called the most common drill bits available. If you are a craftsman and your goal is drilling through wood accurately, then drill presses for working with wood are in general the best solution. 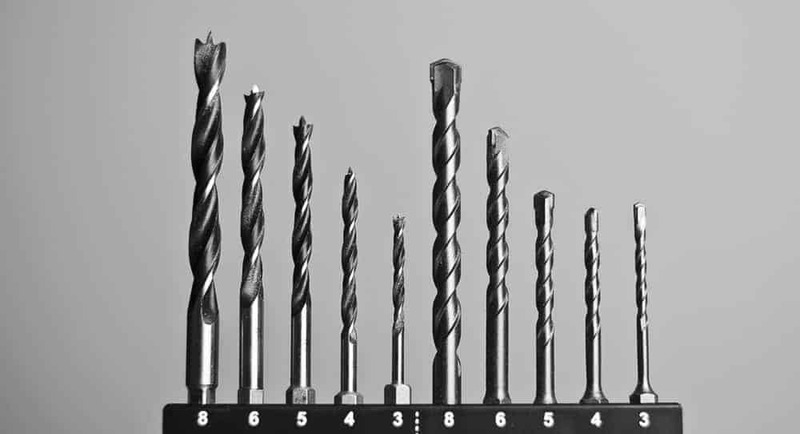 Drilling through metal presents its own unique set of considerations compared to other materials like wood. It doesn’t mean it’s not doable but rather that you need a drill bit with different specifications in mind. These drill bits generally feature a wide angled point. Regular steel will work well for softer metals while HSS (High-Speed Steel) is better for the harder of metals. Though there are an array of options for you to choose from when looking to work with these kinds of materials. Drill presses for metal are in general the best solution if your goal is accuracy with metal. Stone and Brick may be considered the toughest of tasks any drill can endure. It takes the right equipment to tackle this kind of job and you need to make sure everything is modified for this project. These drill bits usually feature a gentle sloped tip and they may be coated in a substance to try and prolong their lifespan (the sharpness of the bit). The ones used for this task are called masonry drill bits. Drilling through glass can seem like the most daunting of tasks for anyone who feels they aren’t very experienced. But actually, once you have the technique and right equipment, it can be easy. You will want to use a bit coated in carbide especially designed for glass. ​This will provide a less complicated experience for anyone wanting to work with this material. Tile can be a bit more difficult to bore through with your drill bit than glass. It’s a tricky material to work with and requires prior knowledge of how it will be executed and what drill bit you will need to use. Everyone wants to know how to best make the most of the product they will be using or buying. From little things to bigger ones, we will be attempting to give you some tips on how to best use your drill and the appropriate drill bit. 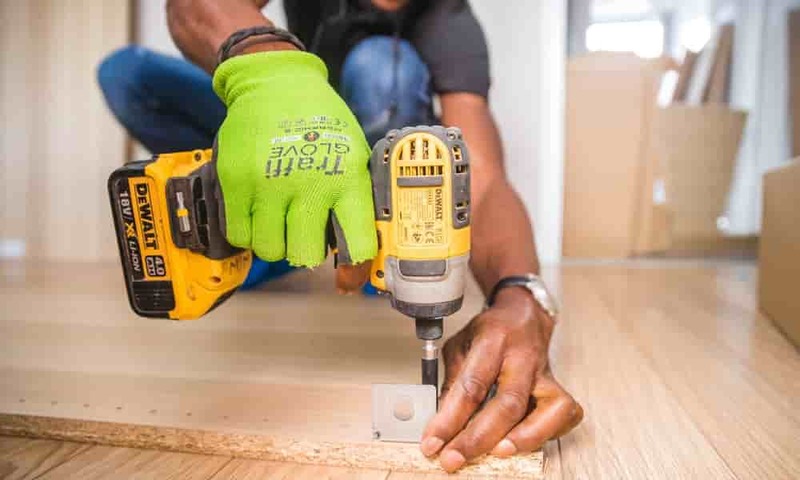 Make sure you have your drill bit securely connected to the chuck. This will prevent any unwanted accidents and keep your work environment safe and user-friendly. Keep your drill bits organized so that you can more quickly and efficiently select the one you want. This helps you avoid the confusion and chaos of disorganization. When drilling through the most compact and hard-to-reach spots we recommend using a 90-degree drill attachment. A: Drill bits themselves are the tools used to bore into the substance you plan to work with. It is the main part that comes into contact with your material and is in charge of executing the task. Drill bit size determines how the hole you are trying to make will turn out. It takes into account things like drill diameter to come up with a fraction that will tell you the given size of the bit. A: The short answer: yes it can. Masonry drills bits, while better for things like stone and brick, can, in fact, be used on wood. But when you use this kind of drill bit for something outside of what it is intended for, it can create rougher edges of the hole and progress the work at a slower pace. A: Changing the drill bit is one of the most vital parts in being able to tailor them to the project you’re working on. You will need to know this through all types of bits and practices. There are a few steps to this, and some vary among different drill designs, but here are a few basics to get you started. First, you will need to loosen the chuck. The chuck is what holds the bit in place and is used as a connector. It is what is keeping your drill bit in place and is the key to extracting an already inserted bit. After you’ve loosened the chuck, you will need to take out the drill bit from its place. It should be unsteady in its place. Once loosened you will just need to slide out the drill from its place. It should come out easy with little resistance. Next put the desired drill bit in place of the old one. Make sure you choose the right one for your project depending on hole size and the material you are working with. Then hold the new drill bit in place and press down on the trigger to tighten it. This is just a more efficient way to reinstate the drill bit and chuck back into place. If you want you can simply skip this step and go on to the next one. Finally, double check that it is in place by twisting the chuck to ensure it’s in place. You can do this without having to do the previous step, the latter is just seen as more convenient for some. And with that, you’ve successfully changed your drill bit. It’s as simple as one, two, three. A: Many drill bits are made to work with metal and other similar materials. The kind of drill bit you need depends a bit on the toughness of the metal. For light metals, you can use high-speed steel or for stronger metals, you can use a black oxide coated bit. A: Anytime you buy a drill bit it should come with the correct sizes. But if you lose this information or your drill bit gets lost in clutter there are a couple of ways to determine this. The drill bit size can be determined by using a drill bit size card. This card allows you to find the size by measuring it with the indents in the card. If this is not something you think will work for you, another option is to look for the size etching at the base of the shank. These are on most if not all of the drill bits sold today. A: There are many ways to determine what drill bit size you should use. When working with wood make the bit about 1/64” smaller than the hole you plan to drill. With this in mind, when working with other materials use the correct size. You may still be unsure but, in this case, the most reliable option to do is to use a bit 1/64” smaller. 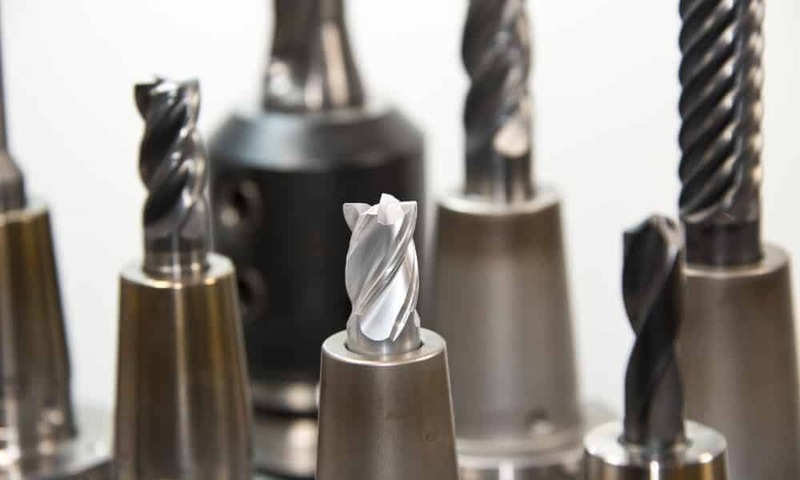 You may not have always put drill bit size as a priority when thinking about working on your projects, but hopefully, you might think differently now. Drill bit sizes really do make a difference and change how the job is approached. They can make or break your project and how you will work on them. Drill bit size goes beyond simply choosing a bit that looks kind of similar to what you’re aiming for. It’s about finding a match that will make your work on the project easier and less complicated. It’s about making your job more effortless and providing you with the right tools you need. Our goal is that with a quick read of this guide, you will be able to make more informed decisions about your drill bit and which one you will be using. We hope to provide you with the experience and information you need to work more efficiently on your project and understand how to know what size drill to use. “How to Drill a Hole in Glass.” Family Handyman, Family Handyman, 7 Dec. 2017. “Drilling Holes in Tile.” This Old House, 12 Apr. 2017.